Julia E. McCowan, 96, of Rock Island, passed away Monday, February 4, 2019 at her residence. Funeral service will be 11:00 am on Monday, February 11, 2019 at Wheelan-Pressly Funeral Home and Crematory, 3030 7th Ave., Rock Island. Visitation will be held one hour prior to service. Burial will be at Chippiannock Cemetery, Rock Island. Memorials may be made to the Churches United of the Quad Cities. Julia was born on December 6, 1922 in Rock Island, the daughter of Arthur and Ethel (Morgan) Moore. She worked for the Illinois Department of Public Health and McCabes. Julia was a great singer and piano player. 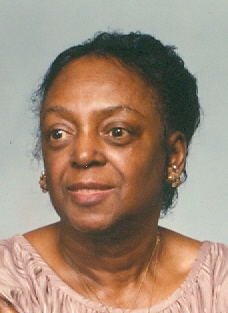 Julia is survived by her sons, Alex McCowan, Milo (Barbara) McCowan, and Jay (Bernadette) McCowan; grandchildren, Isaac Anthony McCowan Ontario, California, Milo Gregory Reed and Miya Evette Reed both of Rock Island, Julia Kristina McCowan and Sarah Jayne McCowan both of Moline; 9 great grandchildren and 1 great-great grandchild. ; and many nieces, nephews, and cousins. She was preceded in death by her parents; son, Lawrence McCowan; brothers, Arthur, Harry, and Walter Moore; and half-brother, Marvin Morgan.